In the early 1900s, the Sears Mill at Cairo, Illinois was an impressive operation, covering 40 acres and employing about 80 full-time workers. About 20 acres were “under roof.” In other words, the site had 20 acres of buildings. That’s a lot of buildings. Each day, the railroad cars brought enormous quantities of yellow pine and cypress into the mill, right out of the virgin forests in Louisiana and Mississippi. The 80 employees turned those logs into 10-12 kit homes per day, and each pre-cut home had 12,000 pieces of lumber. That’s a lot of lumber and a lot of work. The mill (actually in a tiny town just outside of Cairo) was in Urbandale, Illinois. It was located on “Sears and Roebuck Road.” When the interstate came through in the 1970s, it cut a wide swath right through Sears and Roebuck Road, creating two stretches of dead end street on either side of I-57. On one side, it’s now known as Sears Road. On the other, it’s Roebuck Road. And on Roebuck Road, there’s another bonus: The Sears Wexford. 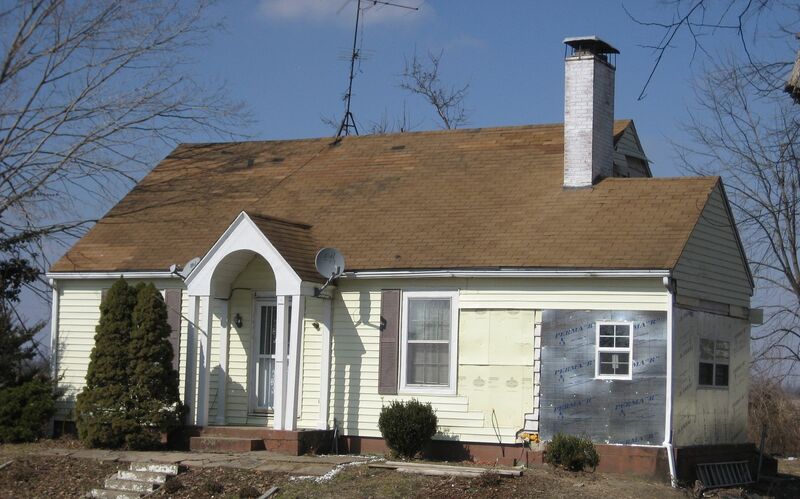 A Sears House on Roebuck Road. Or maybe it’s a Roebuck house on Roebuck Road? 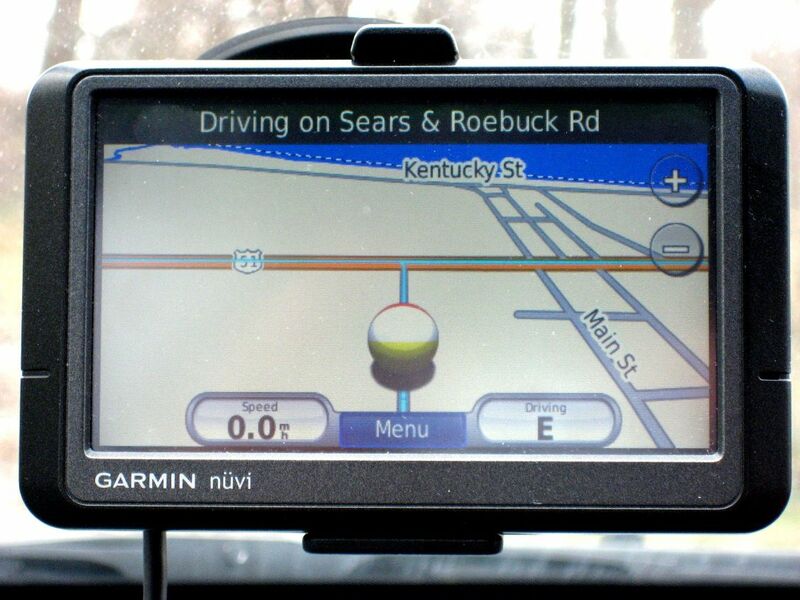 Either way, Garmin apparently never got the memo that Sears Roebuck Road had been sliced into two pieces. And to hear the song that inspired blog’s title, click here: Married By The Bible, Divorced By The Law. Special thanks to long-time Cairo resident Richard Kearney, who gave up a day of his life to be my tour guide throughout this area. Garmin never got the memo about the divorce of Sears and Roebuck Road. Sears Road is right off of State Highway 37 in Urbandale, IL. And Roebuck Road is on the other side, accessible by Seven Mile Road. Note the little Sears Wexford, waving merrily from the background! Close up of the Sears Wexford (also known as the "Bridgeford) on "Roebuck Road." 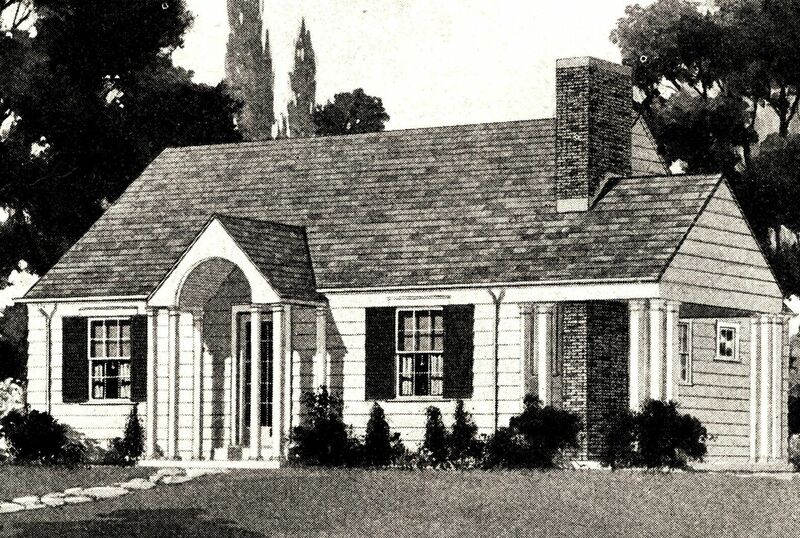 Original catalog image of the Sears (and Roebuck) Wexford (from the 1936 Sears Modern Homes catalog). The house in Urbandale is a spot-on match! 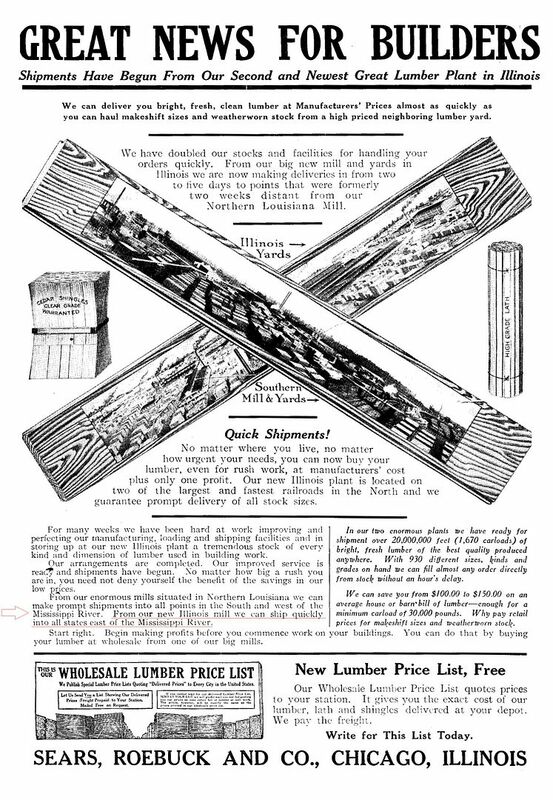 This item appeared in the February 1912 issue of American Carpenter and Builder, announcing the opening of the new mill at Cairo. Close up of the text. The only remnant of the old 40-acre Sears Mill in Cairo/Urbandale are these two Rodessas, built in 1918, to demonstrate the superiority of Sears pre-cut homes. One house was built using traditional methods (stick built, with all pieces cut by hand), and the other Rodessa was a pre-cut Sears Home. The Rodessa, as seen in the 1919 catalog. To read about Addie Hoyt, click here. 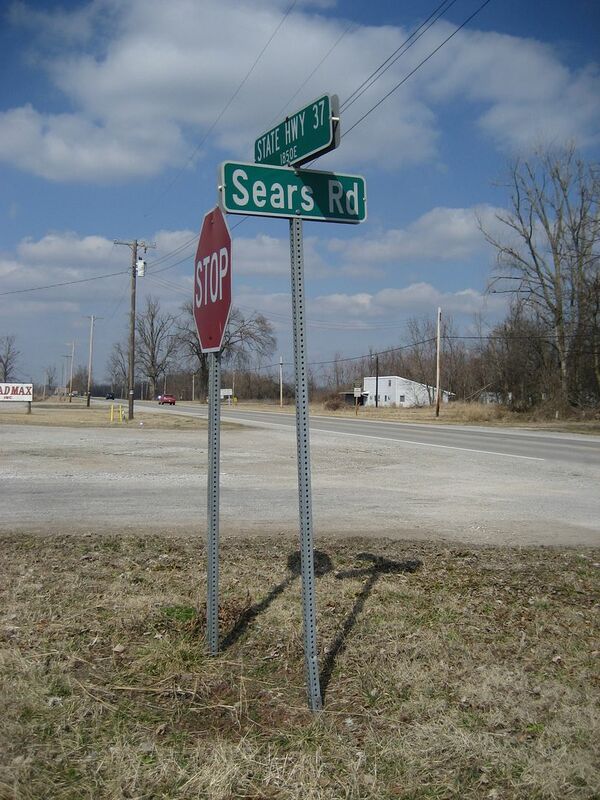 At one time, the Sears and Roebuck Road (in Urbandale, Illinois) was east of US Highway Route 3, just north of Cairo, Illinois. This is where Sears pre-cut Honor Bilt homes were milled and manufactured. When interstate highway 57 was constructed, it split the road in half and it was no longer a through street, but rather two dead ends, each terminating at the new interstate. The east end of Sears and Roebuck Road became Sears Road and the west end became Roebuck Road. 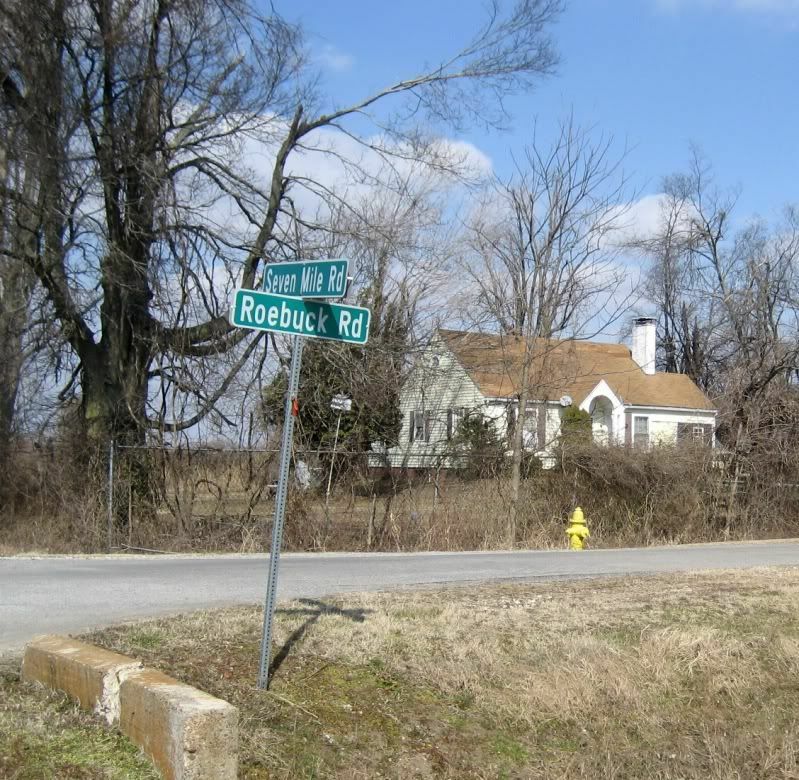 As Rose mentioned, all that’s left on Sears Road are those two Honor Bilt homes (”The Rodessa”), and the lone “Sears Wexford” at the beginning of Roebuck Road. 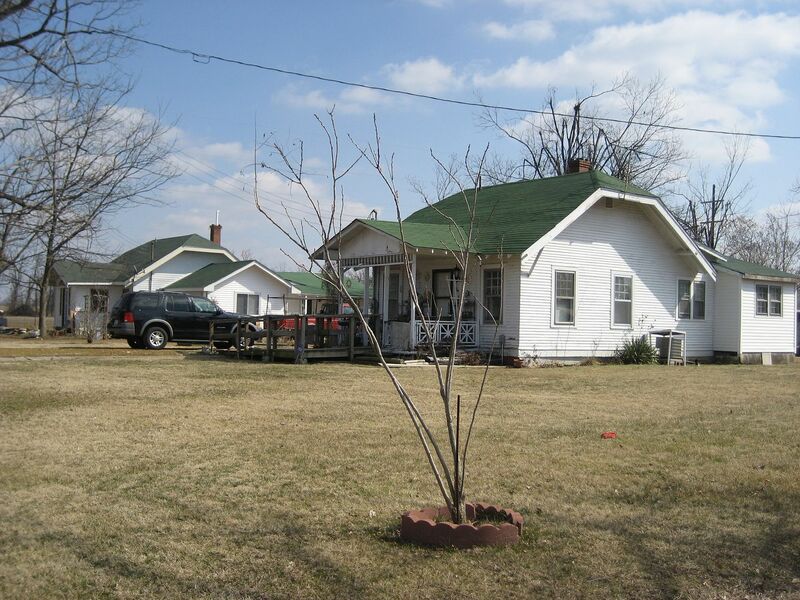 There’s a lot of Sears history here in Cairo, and not surprisingly, we have a lot of Sears Homes in our little town.